It’s a light agenda this week, with the big issue being the Royal Bank’s request to have the Town’s Official Plan revised to allow them to move to the Walmart complex. There is other stuff and I encourage the reader to take a look at the topics below that I have identified as being of most interest. I am wondering a little about 9.5.1, the investment of $35,000 in musical equipment for a new park. It looks interesting, but where does it fit? Do we have a plan for our parks and the services they offer? It seems that Staff gets an idea, or is fed an idea, and Council is looking at a $30,000 investment. I saw Council torture themselves about $4,000 for new chairs for the council chamber after 13 years of use, but I expect they will approve $35,000 with no discussion of need or alternate uses for the funds. I do resent that Trails will be kicking in $8,000 to fund the project. How about a new sign for the North Shore Rugged Trail? How about a footbridge over Thunder Creek? How about upgraded fitness equipment on the Rotary Algonquin Regiment Fitness Trail? Is Staff talking to the people who pay the taxes? It’s one thing for Staff and Council to invest in new infrastructure on the basis of a needs analysis and a plan, but it’s another matter when it comes to ‘nice to have’ investments that seem to appear out of thin air. Is it part of a waterfront plan? I don’t think so unless the waterfront plan from the 1990s that’s posted on the Town’s website is still the working plan. I somehow don’t think so, and if there is a new plan its a secret. No, actually its a SURPRISE. a) the security of property of the municipality or local board. (Heritage Property). 4.1 – Kathleen McGill, 11 Belvedere Ave. Re: Supports the initiative to return Belvedere Avenue to a two-way street. Feels the extra space is unwarranted as there is a parking lot now. Ah yes, but it’s not free parking. Perhaps the Town will get it into their head to reimburse Belvedere for the building of the parking lot and then make parking free. (They like to do that.) It’s a regional asset, sitting on the most attractive piece of real estate in Parry Sound; let the region cough up the dough. 4.2 – Wendall Fisher, 130 Gibson Street. Re: Supports restoring Belvedere Avenue to a two-way street. Amongst safety concerns with ploughing and ladder fire trucks having difficult access, he objects to having to subsidize vehicle parking for visitors and perhaps residents for Belvedere Heights Home for the Aged and Sunset Court Apartments. I am a little surprised by the second argument. It seems that one of the benefits offered by Parry Sound is free parking. I believe Mr. Fisher’s guests have the option of free parking in front of his house. The people at the old age home I’m sure look forward to visitors; should these visitors be required to pay $2 to brighten up a senior’s day? Let’s be sure we understand the perspective of those who actually park on Belvedere Avenue, and those who depend on them. 5.2 – Jamie Chisholm, President, New Urban Retail Inc. both representing the owner of the Oastler Park Shopping Plaza. Re: New information to provide to Council regarding RBC Official Plan Amendment. 5.3 – Brad Weiler, Community Recreation Programs Coordinator for the Town of Parry Sound. Re: Update on Canada 150. 9.1.1 – Customer Service Manual update. Resolution. That Council adopts the updated Customer Service Manual, attached as Schedule “A”. The Manual was updated due to Provincial legislative changes to the Accessibility for Ontarians with a Disability Act. 9.1.2 – Update to Accessibility Plan. Resolution. That Council adopts the updated Accessibility Plan 2013-2018., attached as Schedule “A”. 9.5.1 – Quotation: Harmony Park – Playground Equipment. Resolution. That Council accept the quotation from Blue Imp for the Harmony Park project in the amount of $34,860.50, including HST, this being the lowest of three (3) quotations received, and; That Council approve $4,000 already in the Parks Reserves and previously designated for playground equipment to be used in 2017 for the installation of the new equipment, and; That the remaining $1,860.50 be funded through the Parks Reserve in 2017. Well this is a surprise to me. I had to look at the R&R to understand not only what was being proposed, but figure out where Harmony Park is located. It seems we are creating a new ‘park’ and installing a ‘musical garden’ along the Rotary Algonquin Regiment Fitness Trail on Bay Street across from the public washrooms on the Town Dock. 10.1.1 – Amendment to Animal control by-law – Dog Licensing. Being a By-law to amend Schedule “A” of By-law 2013-6285, being the By-law to regulate Animal Control in the Town of Parry Sound. 10.4.1 – Service Line Warranties Marketing License Agreement. Being a by-law to authorize the execution of a Marketing License Agreement between Service Line Warranties of Canada (SLWC) and the Corporation of the Town of Parry Sound. 10.5.1 – Official Plan Amendment No.1 and Rezoning Application Z16-04 – Jamie Chisholm/Oastler Park Shopping Plaza Limited – 1 Pine Drive. a) By-law to Adopt Official Plan Amendment No.1 – 1 Pine Drive – Royal Bank of Canada – Oastler Park Shopping Plaza Limited. That’s it for public meetings in 2016. No more regular, or budget, meetings of Council. It’s time to snuggle up with the 2017 Budget and see how your tax dollars are being put to work. The North Shore Rugged Trail. It gets no attention, no respect, and no budget. Ted. 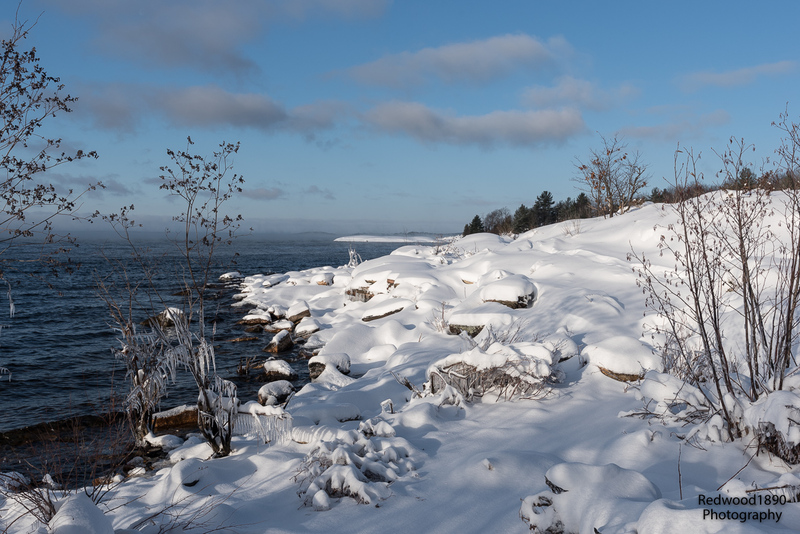 You are missing a beautiful winter in Parry Sound, snow and sunshine. Head over to my other site, http://www.parrysights.com, to see what you are missing. Paid parking seems to be a best practice. Much like tolls, it redirects cost to the users. If businesses really, really believed free parking would help their business they would have found the money to subsidize it. Parry Sound wasn’t headed in the direction of free parking until Council was given a ‘wedgie’ by the DBA and businesses after staff followed up a Council request to look at parking meters on Bay Street. A case of unintended consequences. Yes you cannot beat a Parry Sound/Georgian Bay winter. All the best of the season.